Sometimes a card is needed "just because". 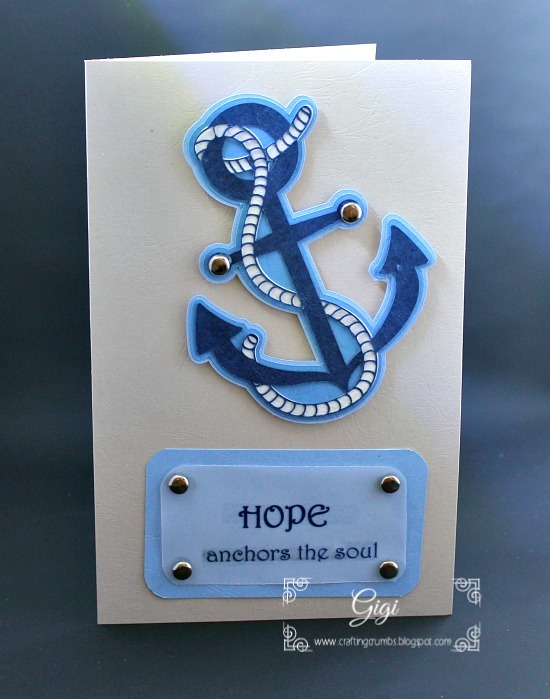 So these two cards, each very different, were created just because I wanted to say, "I care..."
This anchor is from Miss Kate's Cuttables. Her daily freebies are great. 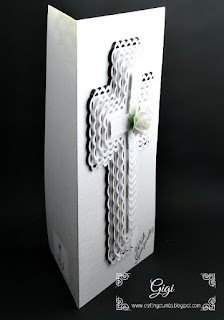 You can see the intricacy of the rope cut in this design - it is so thin yet cut perfectly. The first card is all about encouragement. 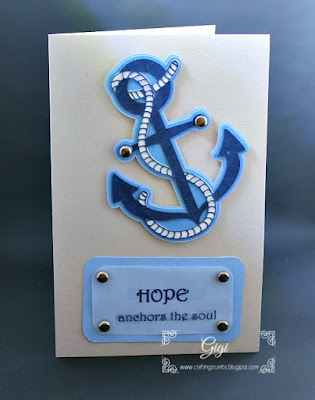 "Hope Anchors the Soul". I love that saying and it is so true. Without hope, what do we really have? 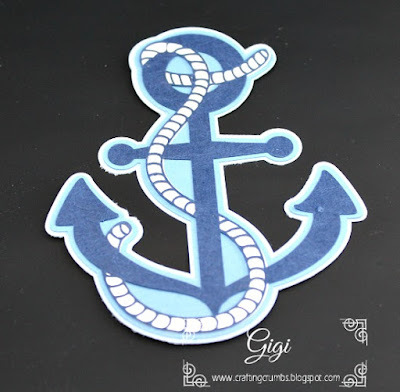 With hope, we have the grounding to move on - the anchor we all need during difficult times in our lives. a bit of interest and texture. This is for a family member who has been heroically fighting a battle against cancer and she is winning battle after battle. I have no doubt she will be victorious in this war and I just wanted to remind her that there are a lot of us hoping and praying for her and her family. She has been an inspiration to all of us. Have you been tempted to try any of the fascinating and intricate coloring books for adults that are dominating the craft world? I know they pop up on my Amazon recommended list weekly and I have been intrigued, but have resisted.. I think I am waiting for the "perfect" time and have been feeling a little funny about coloring at my age! Oh, I have been so wrong to not dive right in! 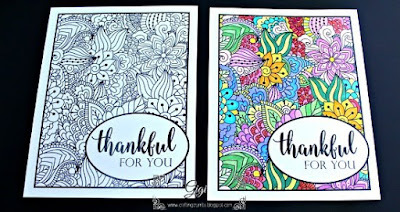 The coloring cards and panels made by Gina K Designs totally changed my mind and I am SO glad!. 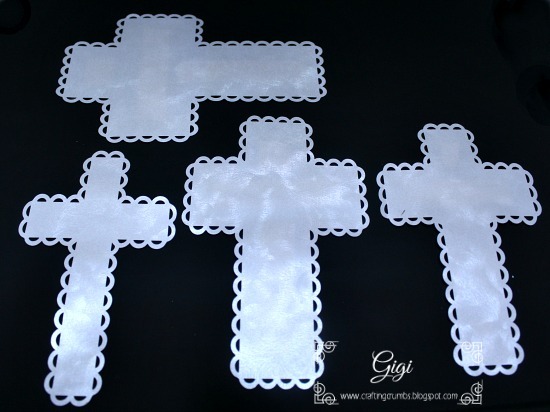 They come in a set of 10 - 5 different patterns, so you have 2 of each design. 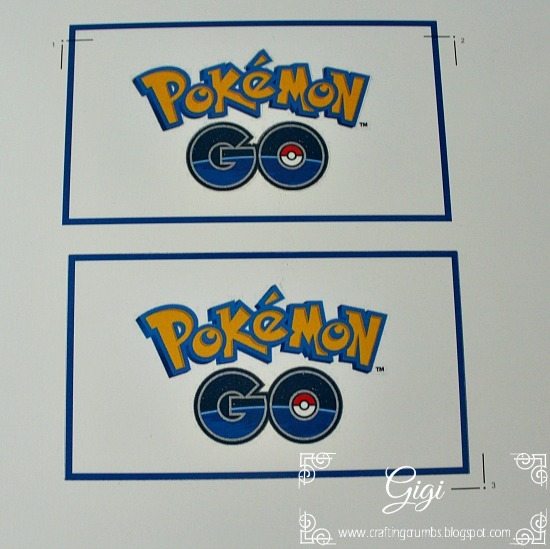 They are laser printed so you can foil them and/or color them with any medium you choose. I chose this one and I cannot tell you how much enjoyment I received from just taking my time and coloring. I used the Spectrum Noir markers and found it totally relaxing and addicting. I didn't have any idea what colors I wanted to use - I just knew I wanted it to be bright and cheery and I think I achieved that. I just love this. 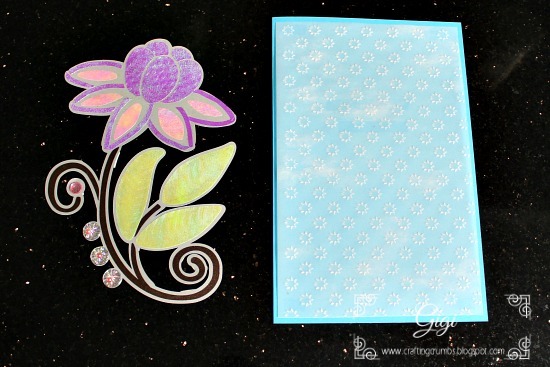 I highlighted some of the black detail with a crystal gel pen to give it a little shimmer in the light, and backed the card panel with complementary colors (Paper Temptress Mica card stock of course!) I honestly cannot wait to do another one. With all of the line art on the internet, it would not be difficult to make your own, but I love the way Gina K put all of the artsy elements together. I hope my dear friend felt the love that went into this card. I hope it made her feel special. That's it for now. 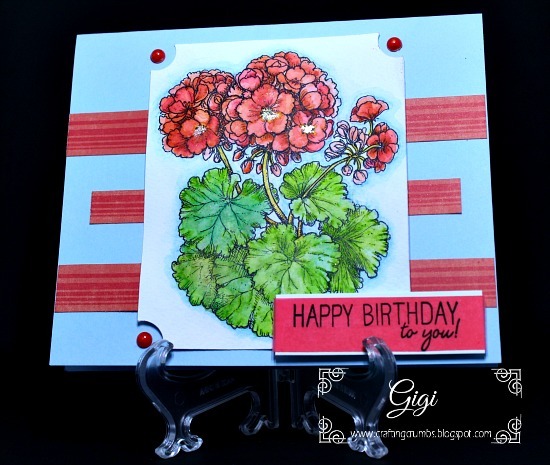 I still have a couple of birthday cards to make before the month is over - phew! I am still having a love affair with ice cream. I think I am actually enjoying making it even more than eating it - strange I know! This is a little "icier" than other recipes because it is made with heavy cream and milk, so the fat count is lower. You can substitute half and half for the milk if you would like a richer, creamier product. 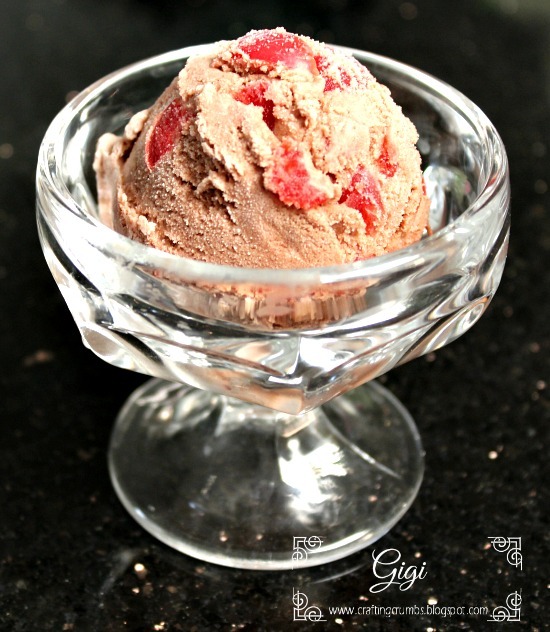 The chocolate and maraschino cherries are a great combination, and the touch of cinnamon is an added taste treat. It's just enough to notice but not overpower in any way. YUM! And with "fall weather" several months away in southern California, there will definitely be more frozen treats to share! Mix all of the ingredients together (except the cherries.) Use an electric mixer for 2-3 minutes to blend them all well. Pour this mixture into the ice cream maker and let process according to the machine's directions. About 5 minutes before the ice cream is done, add the quartered cherries. Freeze in a quart container for a few hours - at least. 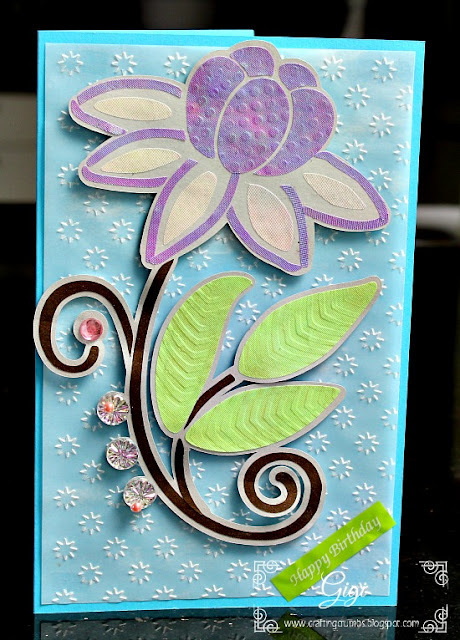 Seems like I have been making a lot of cards lately and trying to stretch my creativity while using what I have. Now that the craft room is semi-organized, it makes finding things much easier and am trying to push myself out of my "comfort zone". It's been fun to try new things and am going to continue to push myself to do learn new things. It makes it much more fun to see what happens, especially when I don't over plan the card. 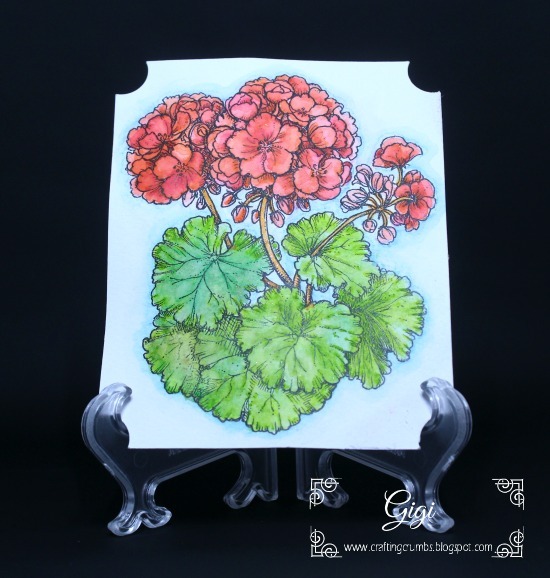 Am trying to let it develop as I go and really like these two, totally different cards! 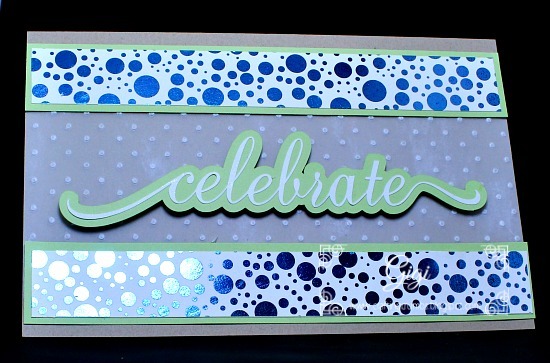 "Celebrate" message from Miss Kate's Cuttables. Papers are from Paper Temptress. Another shot of that shiny foil - love the look! 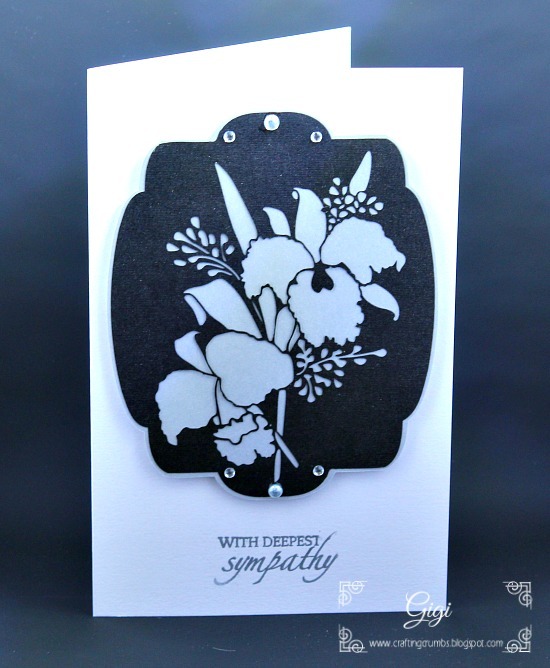 Another card using embossed vellum as the background (so easy). explains the difference in color in the pics. Definitely hard to photograph! I added pop dots on the flower to give it more interest and dimension. I love trying new things and pushing out of my comfort zone. 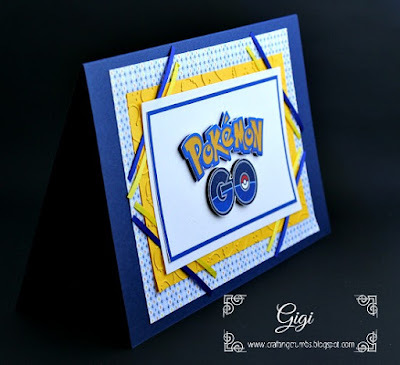 Have more cards to post just as soon as I get the photos edited. 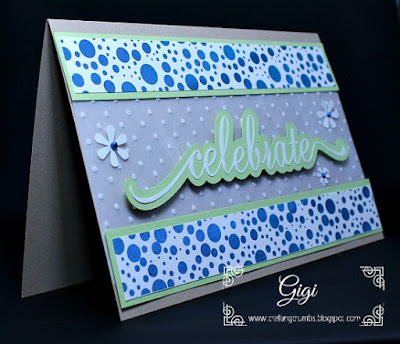 It's been a great month for card making and I hope it continues as I have more to accomplish! Yes, I HATE cancer. I hate that it has robbed two wonderful people of a long life with family and friends. I hate that it comes out of nowhere and turns life upside down. I hate that I know so many others who are actively fighting it and I find hope in the fact that some/many of them will beat this disease. I am reminded of the times when I watched my Mother bravely fight it three times. Over a span of thirty+ years, she fought breast cancer, uterine cancer and colon cancer. She was the winner of the first two battles and when it reappeared in her life, in her early 80s, she was also recovering from breaking a hip. I believe it was all too much for her. She was one of those who exercised almost religiously, watched what she ate (probably to a fault! ), was never overweight, etc. She lived such a healthy life. I lost her fifteen years ago and still wonder....why??? 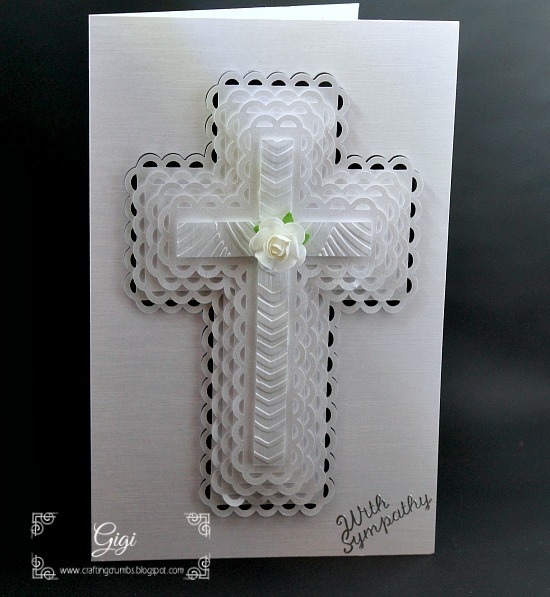 And sadly, I made these cards to memorialize two beautiful people who bravely fought and lost. 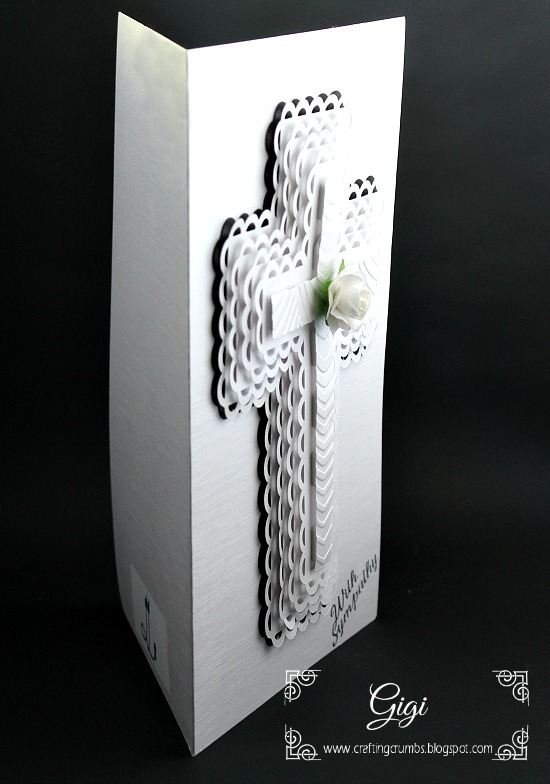 I hope these cards bring the families a little solace and remind them that they are loved....always. The second was for the husband of a special friend. This dear womanwas diagnosed with ovarian cancer 3 1/2 years ago. I have never seen anyone fight like she did - from chemo to immunotherapy to radiation along with vision boards, experimental drugs, nutritional changes, herbal tinctures - you name it; she gave it her all and never believed the cancer would get her. Even in the face of horrible news, she would still say she believed she was in remission and the doctors were wrong. It was an unbelievable journey, but so painful to watch, especially the past six months. She lost her battle on Monday. God bless these two remarkable people, and all of the warriors in our lives who are fighting this disease with all they have. May they continue to be strong...... may they be victorious. This may be my new favorite. But then again, my list of favorites is growing as rapidly as the ice cream varieties in the freezer! 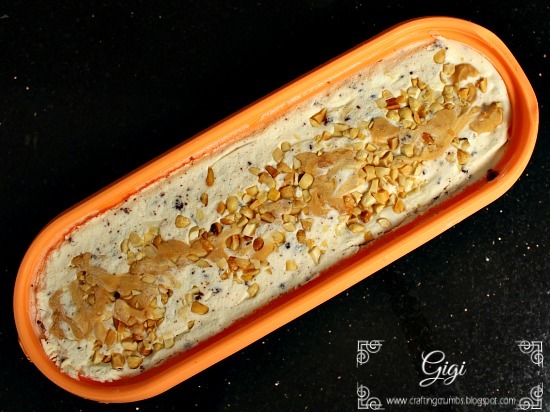 This one......with the peanut butter swirling through this ice cream is decadent yet light and has a nougat-like texture. 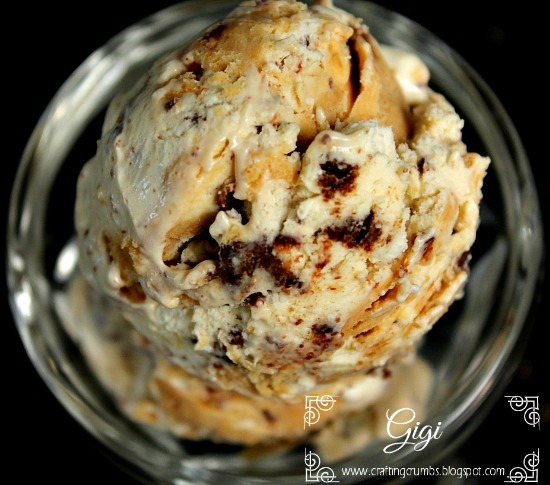 It tastes so good in this ice cream and the little bits of brownie pieces just add to the unbeatable flavor combination. The ice cream itself has a richness about it, but you don't need a lot of it to satisfy any sweet tooth or ice cream craving. 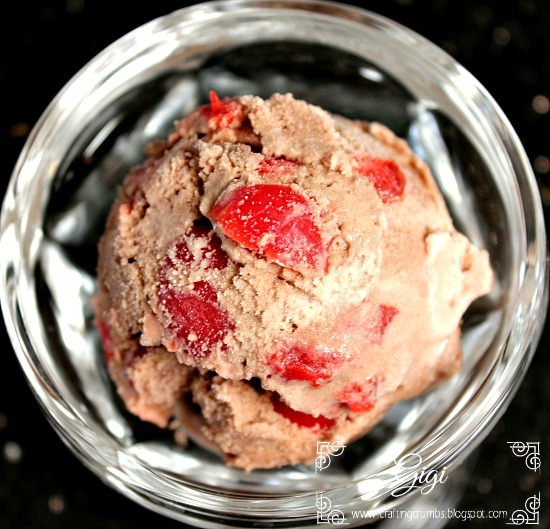 This is definitely a winner and easy to make because you don't need an ice cream machine. Don't get me wrong - I LOVE my ice cream machine and when I have the time and desire to go through the additional steps, it makes mouth watering ice cream concoctions. But these "all over the internet no churn ice cream recipes" are a great alternative. (and no one else will know you didn't spend hours making it!) 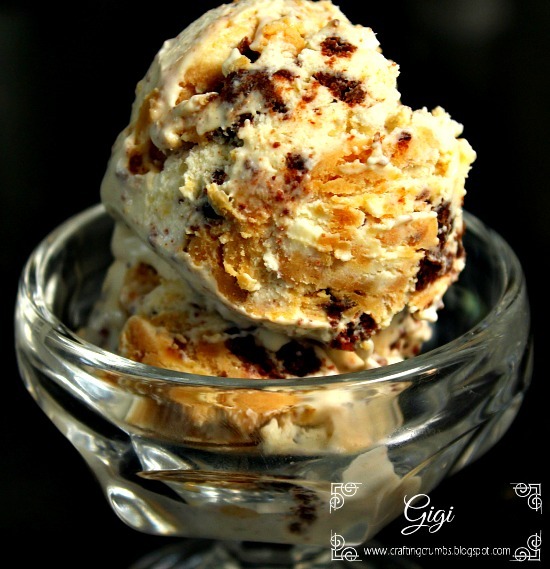 I promise there are more ice cream recipes to share in the near future - I just need some current photos! If you knew what was coming you would be SO excited!! But this is a great one in the meantime and was a big hit with all who tried it! Chill mixing bowl and beater in the freezer for at least 30 minutes. Warm the peanut butter in the microwave and stir about a third of the can of sweetened condensed milk. Whip heavy cream until soft peaks form, about 3 minutes. Take about a third of the whipped cream and add it to the peanut butter mixture and set aside. Fold together the remaining whipped cream and remainder of can of sweetened condensed milk. When blended, add the vanilla. Then fold in the brownie pieces. Fill an ice cream container (I love these Tovolo containers) , alternating the cream mixture with the peanut butter mixture. (start with the whipped cream mixture and spoon about 1/3 into the container. The dollop the peanut butter mixture in top and swirl gently with a knife. Repeat the layers two more times). Top with chopped peanuts, if desired. 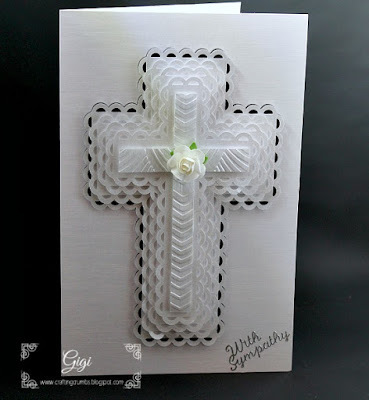 I have slowly been getting back into card making and wanted to put what I have to good use. 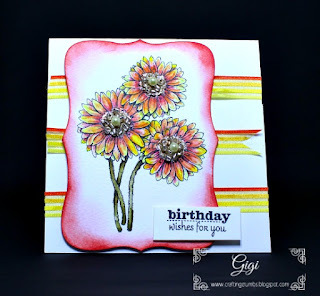 I have always loved floral images and the digi stamps from Power Poppy are beautiful. I love that digi stamps are so versatile and you can make them any size you want/need for any project. I needed summer birthday cards and flowers always seem appropriate no matter what the occasion. These make me smile as they are so realistic. I have a healthy appreciation for anyone who can draw this beautifully - I was not blessed with artistic talent but I certainly recognize it in others! I am so grateful that they are willing to share their gifts. 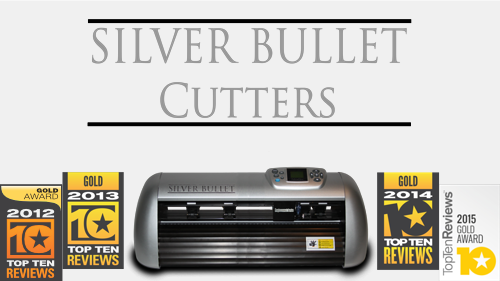 The images were cut out using the SCAL software and Silver Bullet Pro. The shapelies (nesting shapes) are from Penny Duncan Creations. Watercolored with Spectrum Noir Aqua markers - still learning. 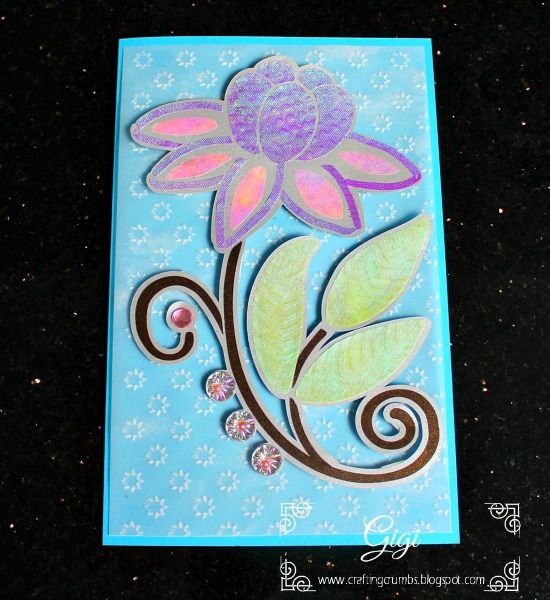 Finished card with a little texture and bling added. Another watercolor attempt with Power Poppy Gerbera Daisies. Lots of dimension and bling in the centers and ribbon to accent. From Baby to Boy to Young Man - 27 Years to Celebrate! Yesterday was the birthday of my youngest. 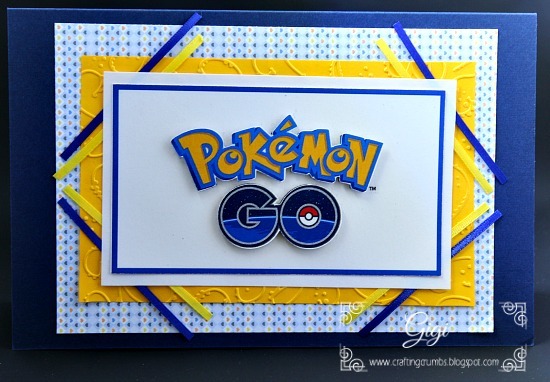 As I have said before, male cards are not my forte, but Rob makes it a little easier for me because I see him fairly often and know what he is "into" - and it's no surprise that he is an avid Pokéman Go player/walker/streamer. So it made the card decision easy. 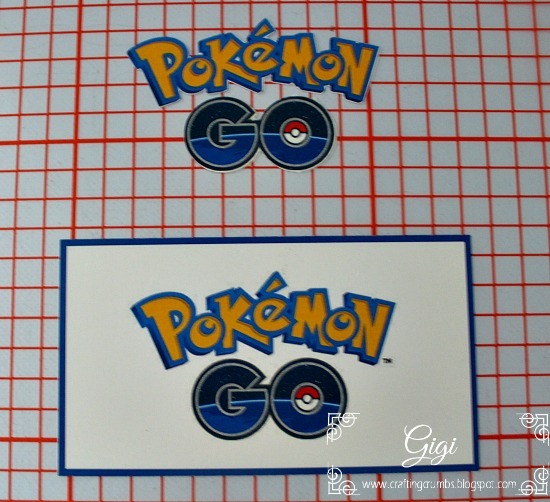 It was not difficult to find logos of Pokéman Go - but finding a good quality and one that would trace was a different story. I just kept it simple with a print and cut and fun background elements. And he loved it so that was my goal! He is now sporting a Fitbit Blaze which he really wanted as his android knockoff was not working well. 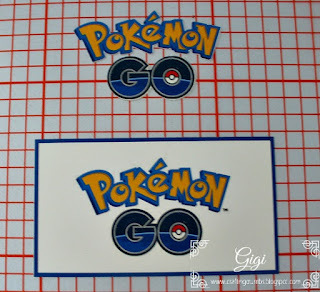 The good thing about Pokéman Go is that it is getting him off his computer and out of his apartment. He has been walking a minimum of three miles a day (guesstimate) so now he can actually track it. 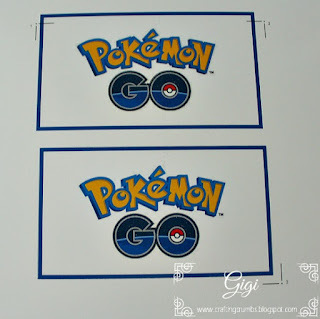 that's why the registration marks don't encompass the entire print. Perfect cuts every time - love the ease of this.